Installing vinyl wall base can add the perfect finished touch to most rooms, but corners can often be tricky. 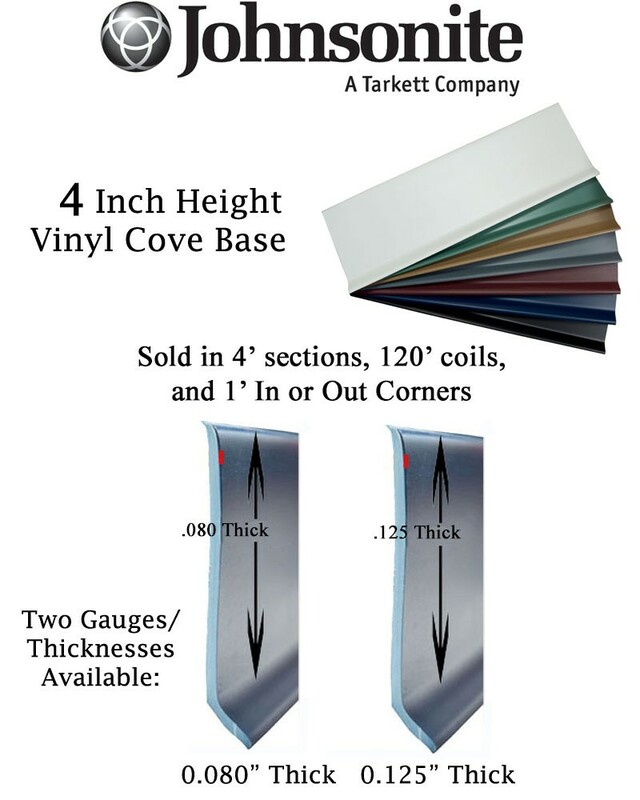 Wall base vinyl pre-molded inside cove base corners will simplify your next installation project. These vinyl wall base corners will be 4" tall .125" thick and 1' in length. 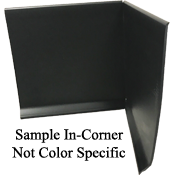 You can order the in-corners in 36 popular colors. Vinyl wall base corners have no minimum order size, which make these an economical choice no matter how large or small you next project is. When ordering your inside cove base corners you will want to make sure you are using the same profile as the rest of the base cove molding in that room. If you will be installing wall base vinyl with a toe, then you will want out corners to have a toe as well. The same would be true if you are installing base cove molding without a toe in a room, you will want the same choice for your inside corners. To further simplify your wall base vinyl installation we offer all of the tools and adhesives you will need to finish your next project. We also recommend viewing Johnsonite's installation video, which will walk you through the basics of base cove molding installation. 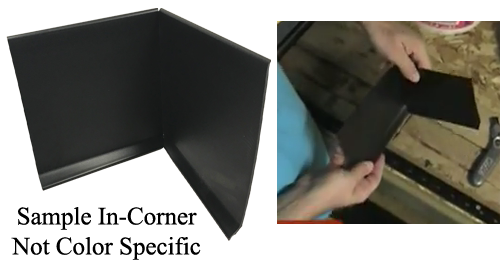 We also have videos show exactly how wall base vinyl in-corners are made at our warehouse. Order these base cove molding corners for use with either these 4' sections or 120' coils. We also sell matching outside corners. Not all items are kept in stock. Please call 866-258-1554 to confirm availability and lead time (typically between 1-3 weeks). Prices can vary with color and quantity selections. Please choose options below to see accurate pricing. Find matching out corners on our site. Cut your base cove molding installation time dramatically and let us make your in corners for you!